So we know that 12c made some small changes in the security area – the most well known being “BI Administrator” being renamed to “BI Service Administrator”. 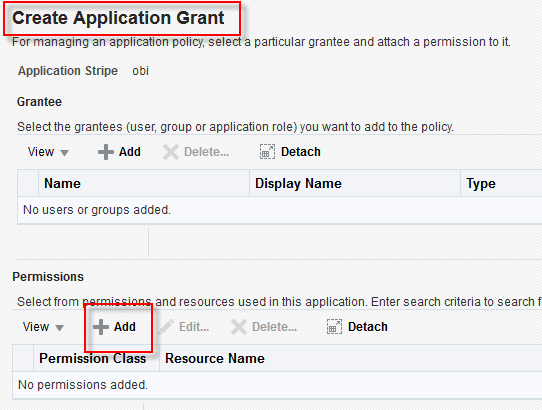 What this post IS about is the little weirdness which is happening in Application Policies and the Permissions you can grant to a policy and its principals. 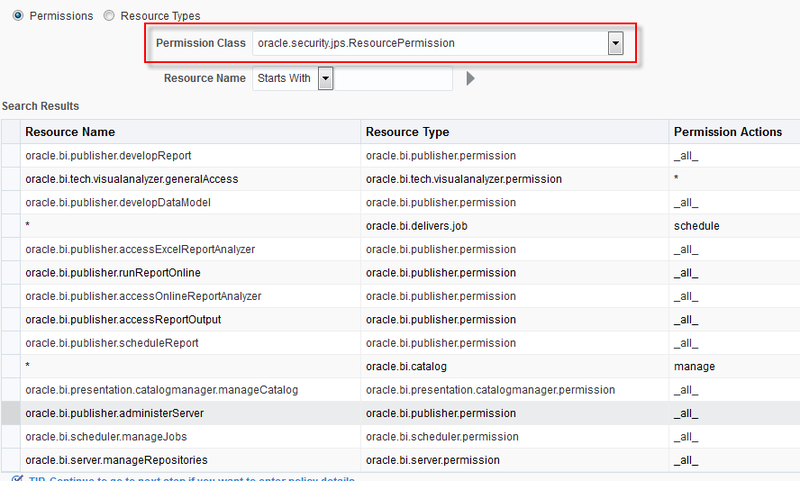 Searching by “Permission Class” oracle.security.jps.ResourcePermission yields 14 results. Funny enough we don’t find all four of the permissions in the screenshot above. 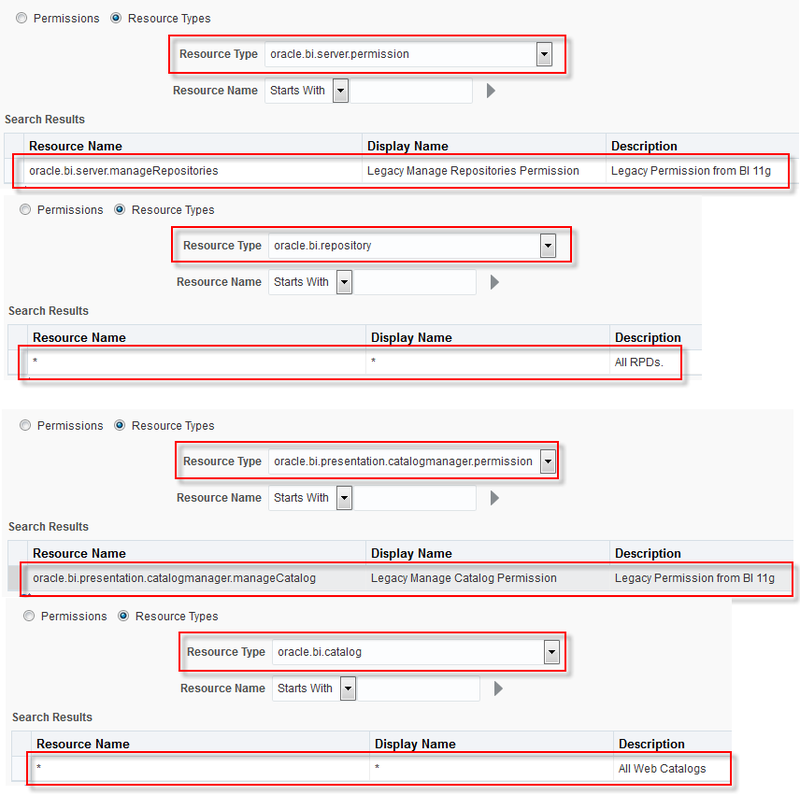 Two catalog permissions are present – “oracle.bi.presentation.catalogmanager.manage” and “*” for the oracle.bi.catalog permission type. “*” for oracle.bi-repository isn’t there though. Hmmm. Let’s search by “Resource Type” and try to find the four in question one by one. So it seems that those two are about to get dropped and be replaced by the new “*” resources. But why is only one of the two new permissions visible when searching by “Resource Class” when it seems to actually HAVE the correct resource class assigned to it?